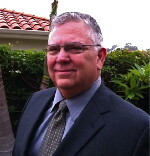 Rick Anaya created the Council on Educational Travel, United States of America (CETUSA) in 1995. This non-profit organization, which operates a variety of short-term and outbound educational programs, also offers internships and trainee programs. In his position as Chief Executive Officer, Rick Anaya establishes policy, authorizes staff positions, and formulates promotional campaigns. One of Mr. Anaya’s recent initiatives at CETUSA was a scholarship program that made it possible for outstanding high school students to travel to Germany. Rick Anaya gained the organization experience necessary to found CETUSA during his eight-year tenure as the President of Pace Institute International, which began in 1986. He managed all operations at this cultural exchange institution, hired staff, and maintained relationships with universities. He was also responsible for facilitating English-language study and short-term cultural immersion programs. Council for Educational Travel, U.S.A. (CETUSA) is a non-profit, global exchange organization dedicated to helping people from different cultures develop more compassion and understanding for one another. Join Today to follow and contact Rick Anaya.